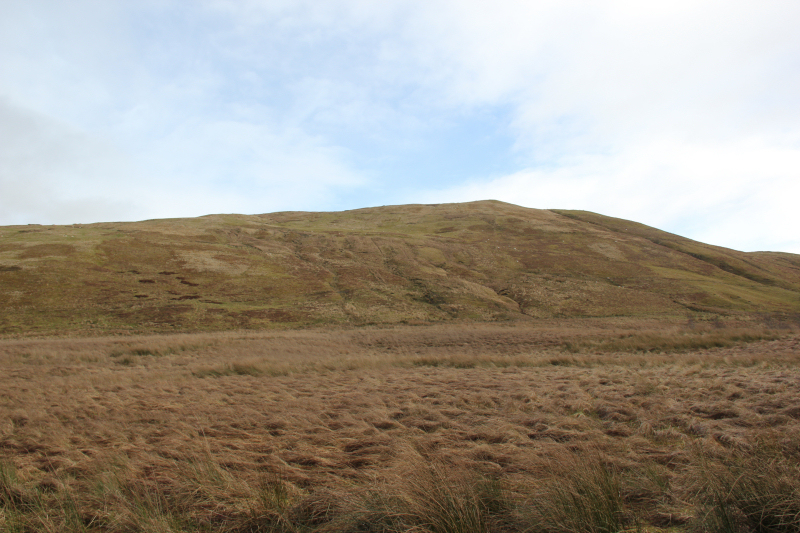 In October 2009, I set out to walk the Ettrick horseshoe. 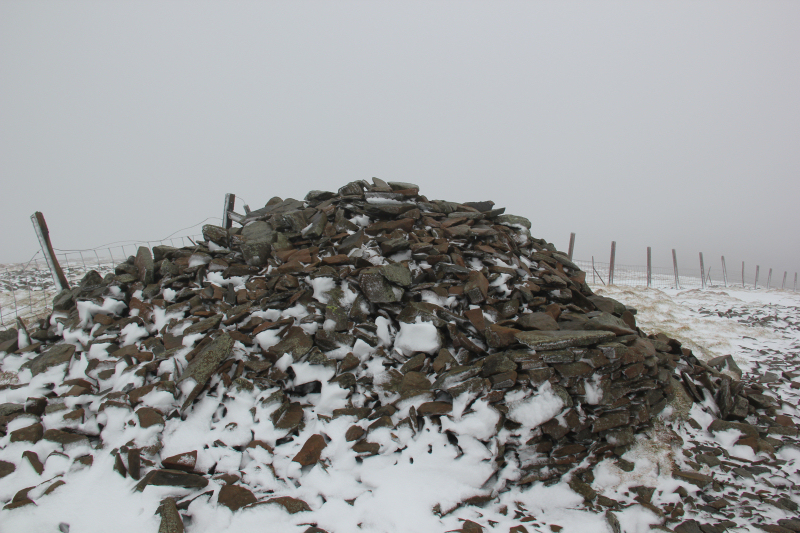 Due to poor weather, and lack of views, I abandoned the horseshoe having ascended only six of the eight New Donalds. 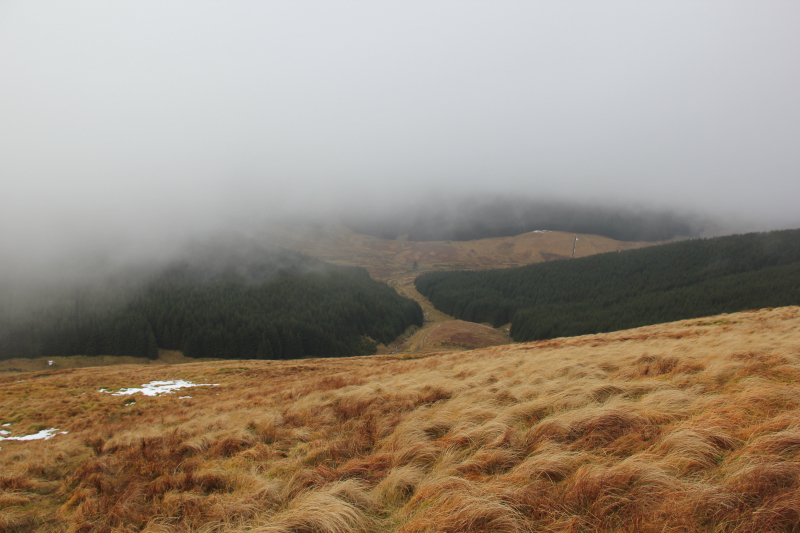 I finally got round to ascending the remaining two hills today, over three years later. 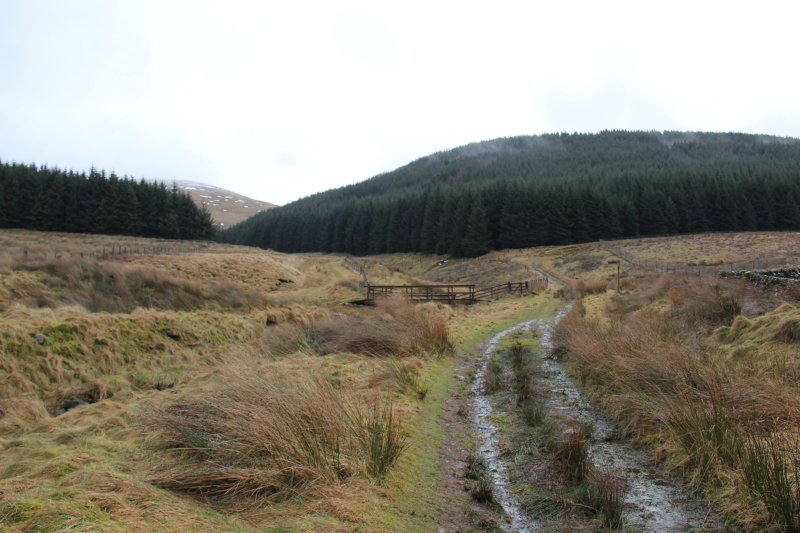 I was in two minds today whether to start the walk from Bodesbeck or Potburn. 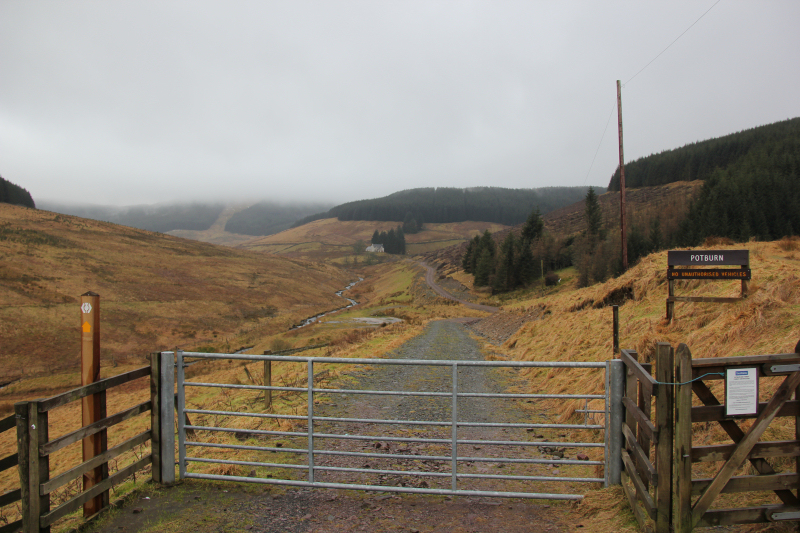 Given the weather was not great, I opted for the shorter approach from Potburn. The downside to this plan was an additional 50+ miles of driving. 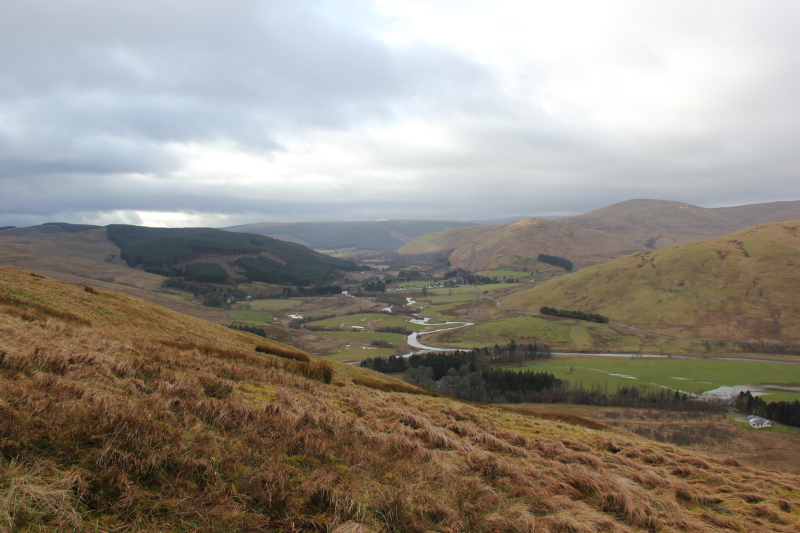 When I last visited Dumfries and Galloway, in September 2012, I was surprised at the number of potholes on the roads. It is now worse - huge deep potholes everywhere. The local Council should get their backsides kicked for the state of the roads down here! I parked at the road end. 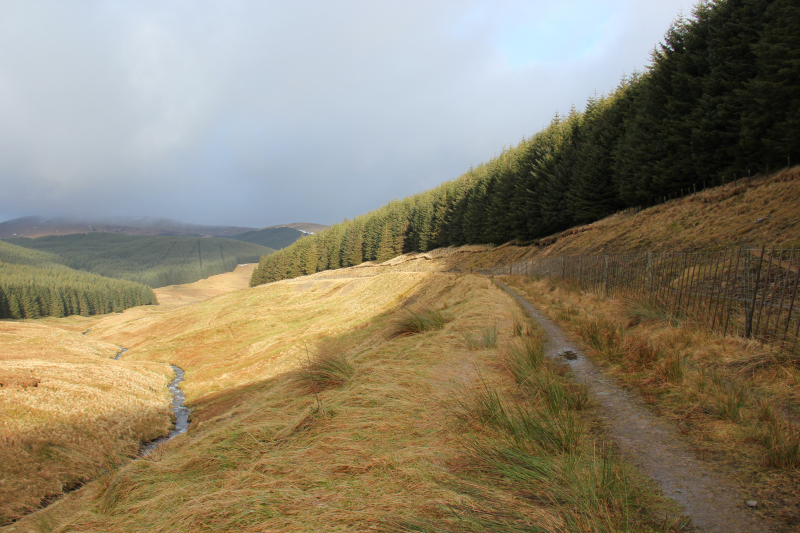 From the road end, I set off towards Potburn and Over Phawhope. 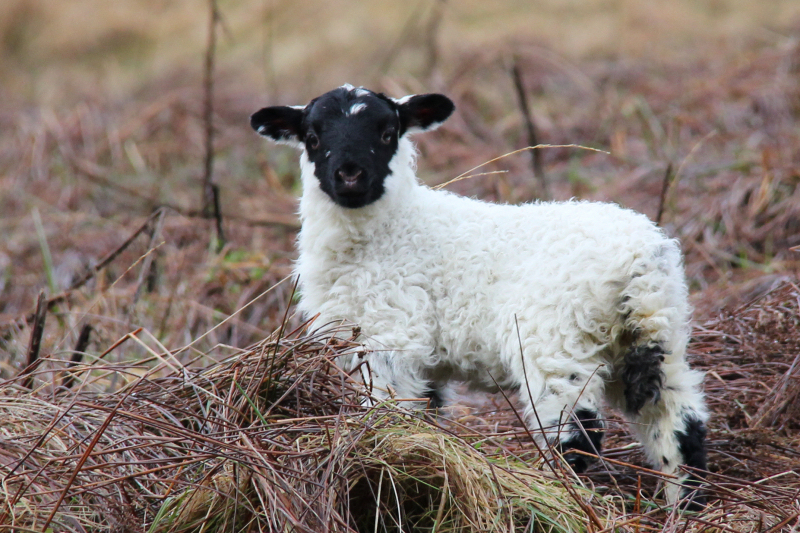 A short distance beyond Potburn, a really small lamb was making a lot of noise. When I shouted “Bhuna”, it ran off . 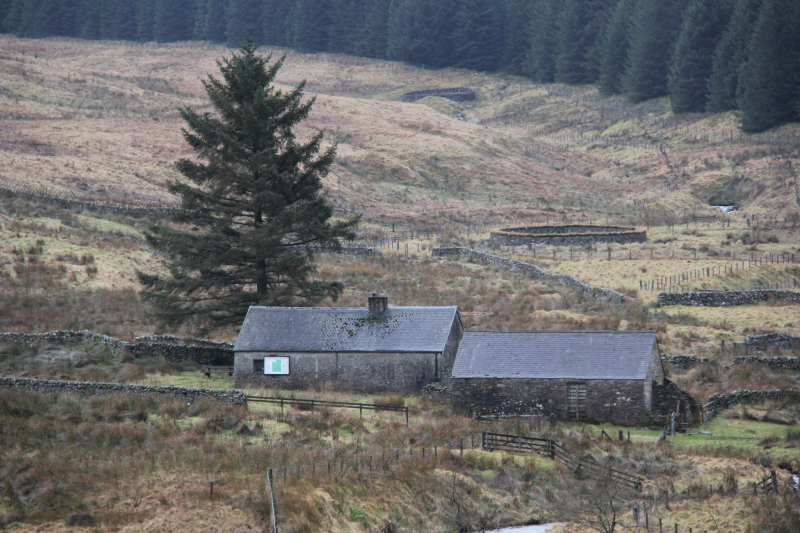 I always enjoy a walk that involves a bothy visit. 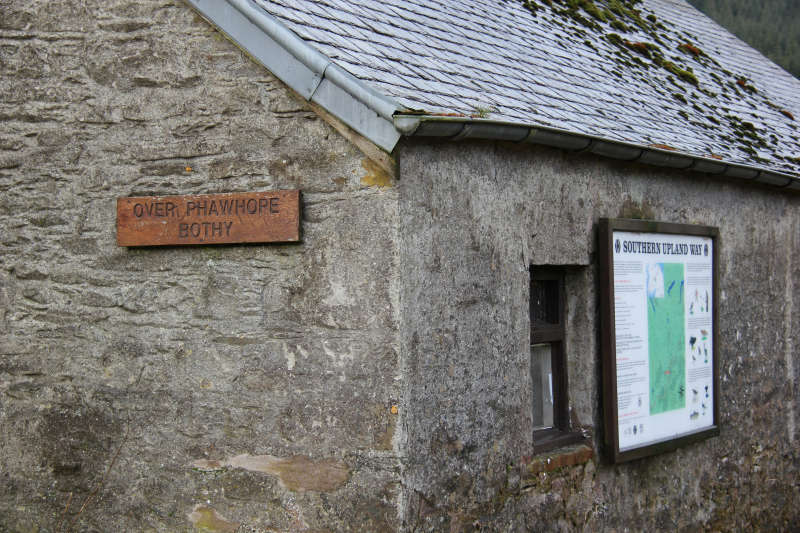 Today I visited Over Phawhope bothy. 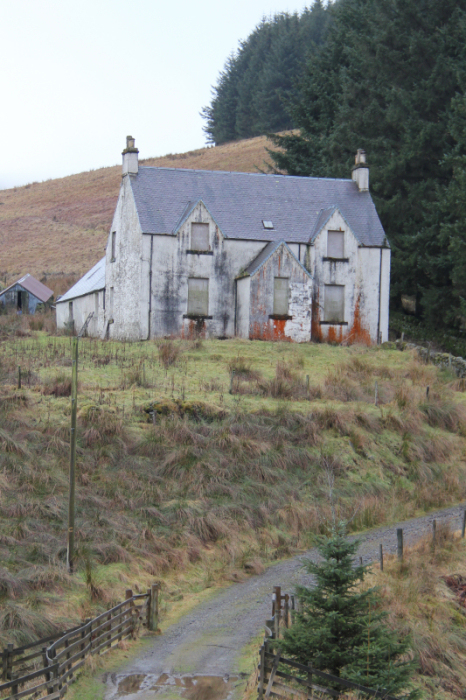 Given the proximity of this bothy to the road, I wrongly assumed that it would be basic and probably a bit of a wreck. 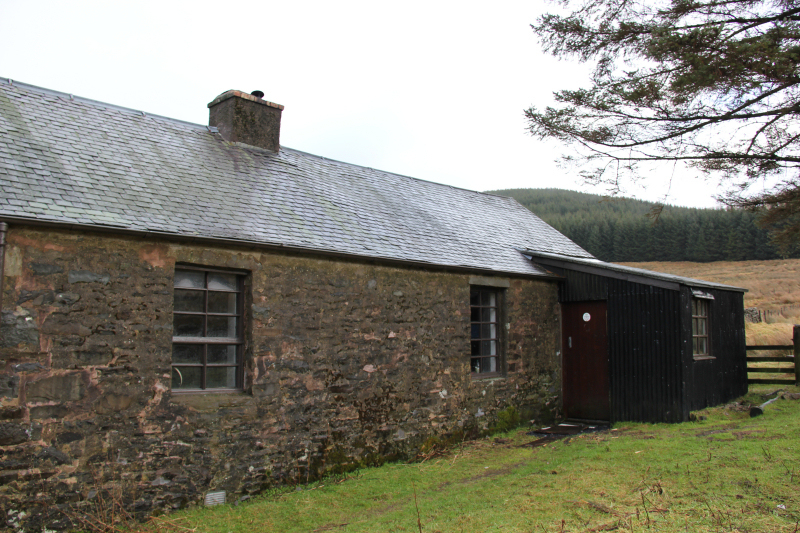 I was pleasantly surprised to find that it is a really nice bothy. 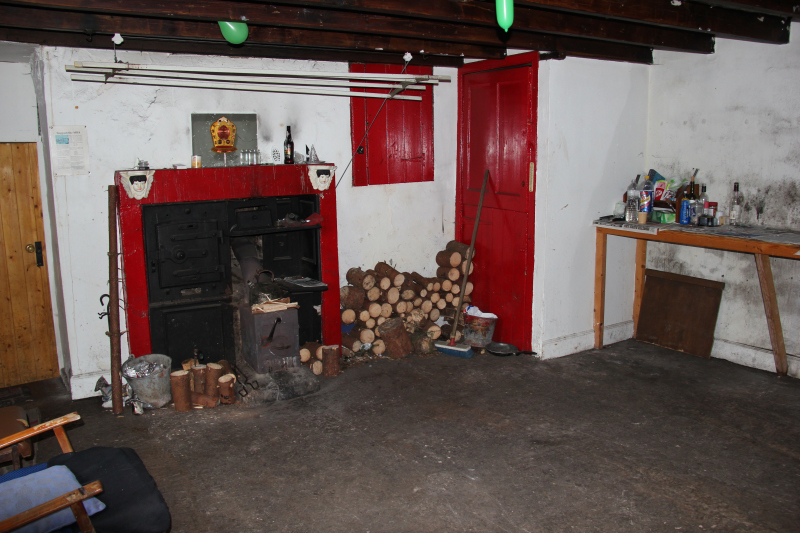 I spent around five minutes inside the bothy having a look around and signing the bothy book. 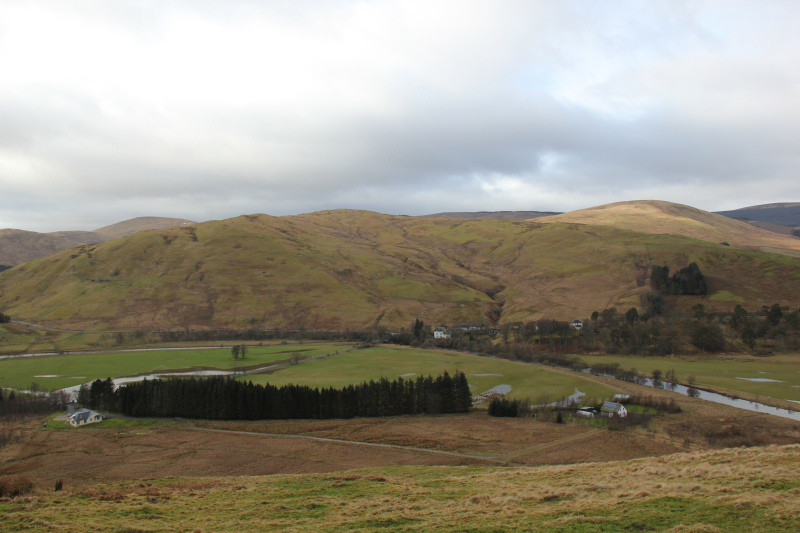 From Over Phawhope, I decided to head for Ettrick Pen first. 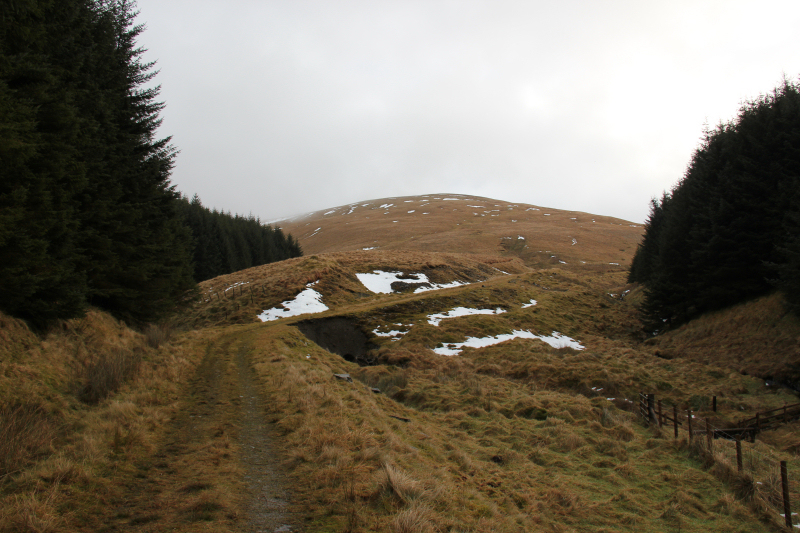 I followed the good track to its end and then followed a faint path heading up Ettrick Pen. 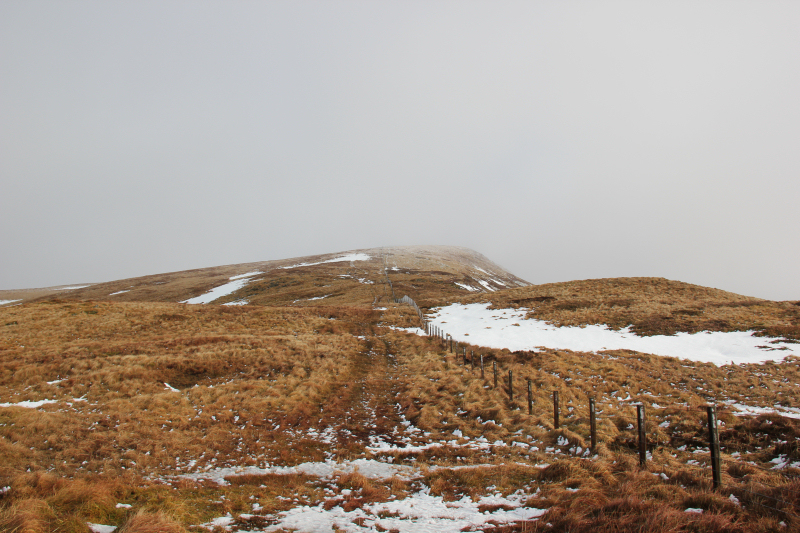 It was disappointing to end up heading into the clag – a common theme for so many of my walks in this area . 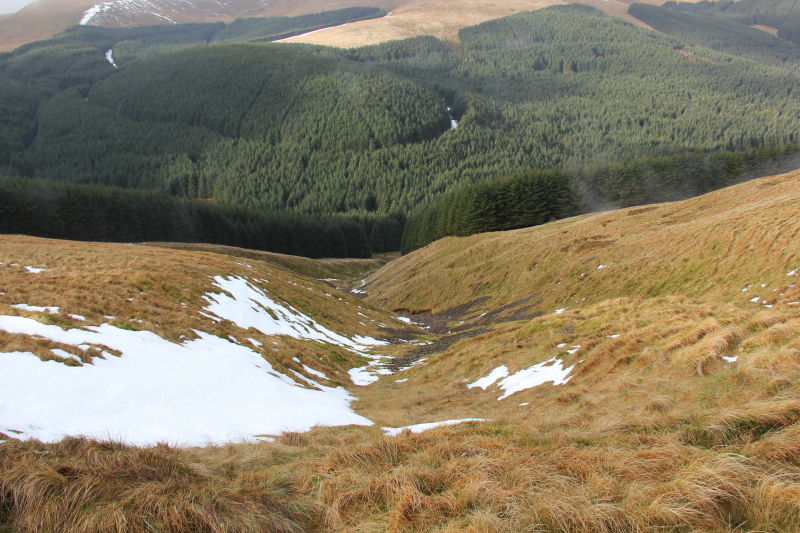 Not much snow left on the hills in this area. 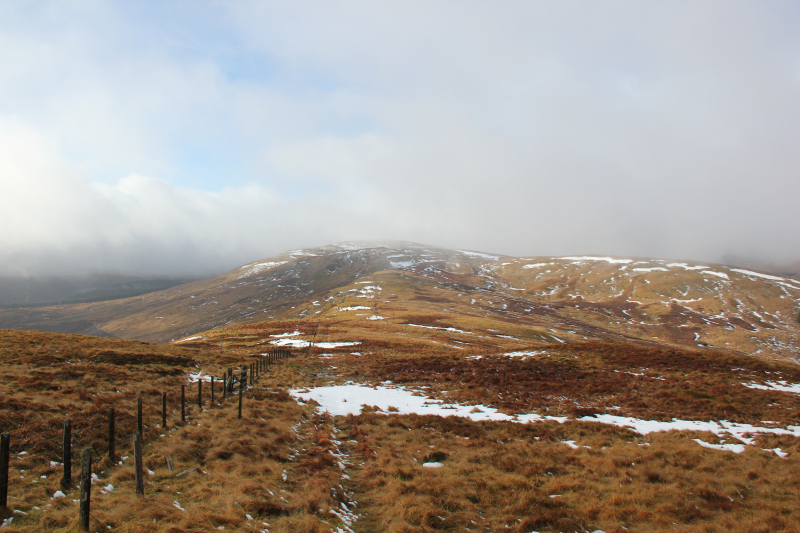 On reaching the summit, I continued on following the fence towards Hopetoun Craig. As I made my way down to the col, I saw what I thought was a small mouse run across the track in front of me. I managed to find it again in the grass, it wasn’t a mouse, it was a shrew. In the time it took to switch on the camera and for it to focus, the shrew was gone. 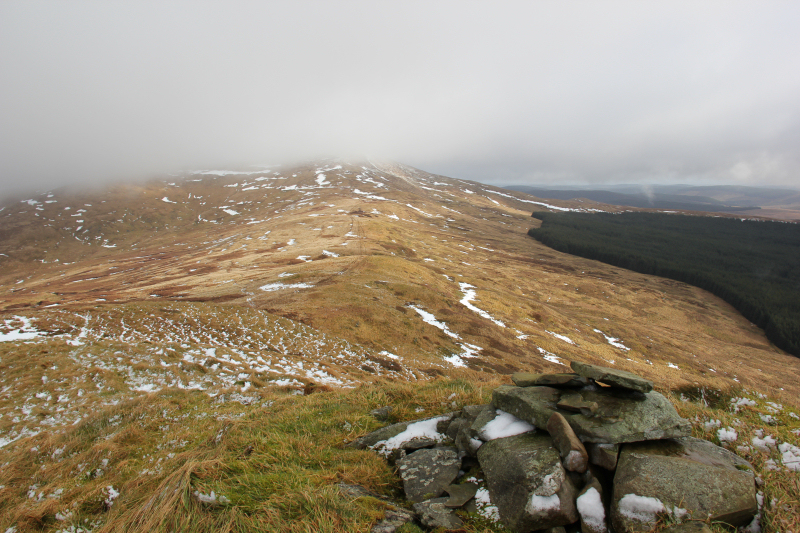 It didn’t take long to reach the summit of Hopetoun Craig. 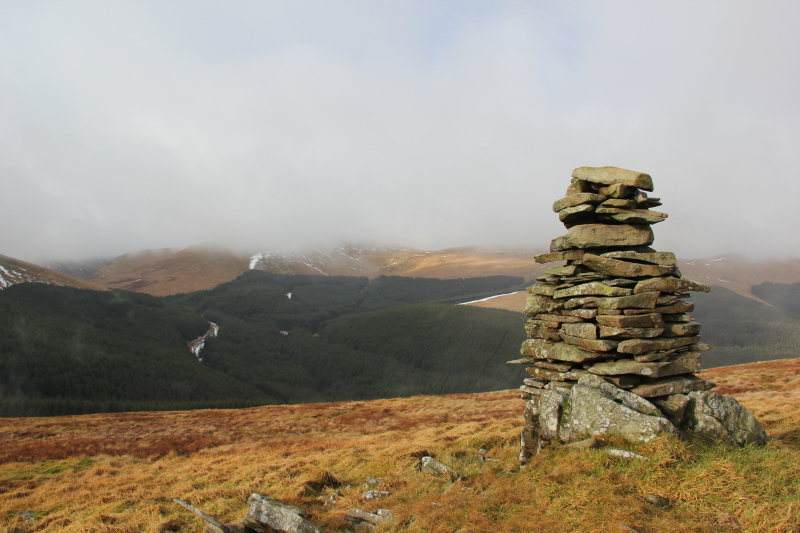 From the summit, I continued a short distance along the ridge and then made my way over to a large well-built cairn a short distance below the summit. 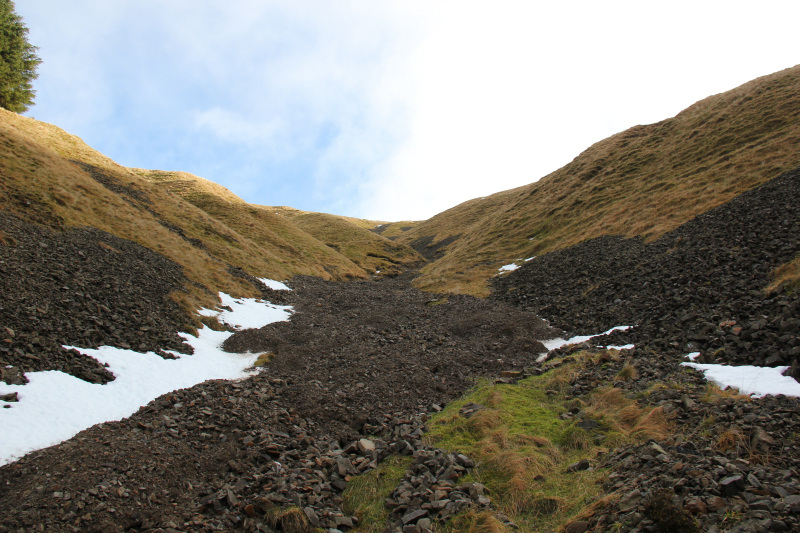 I then made my way towards a wide break in the trees, where I descended a scree gully back down to the track. 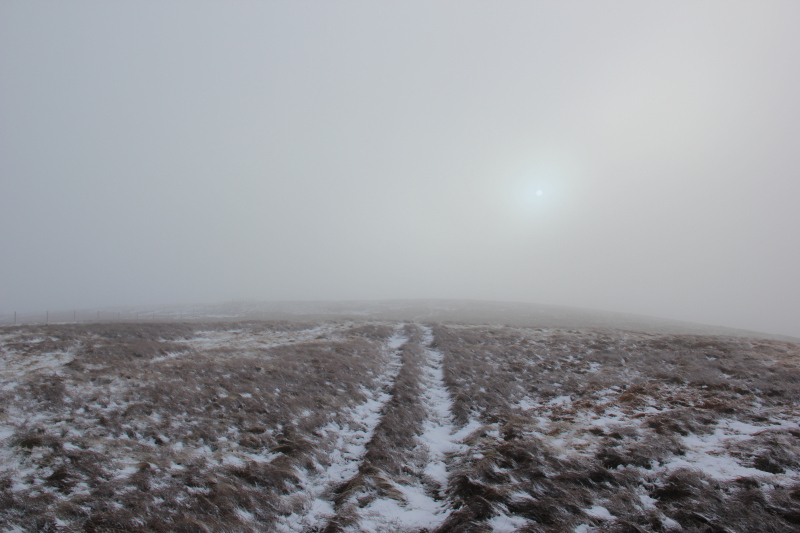 Once on the track, it was an easy plod back out to the car. I got back to the car just after lunchtime. 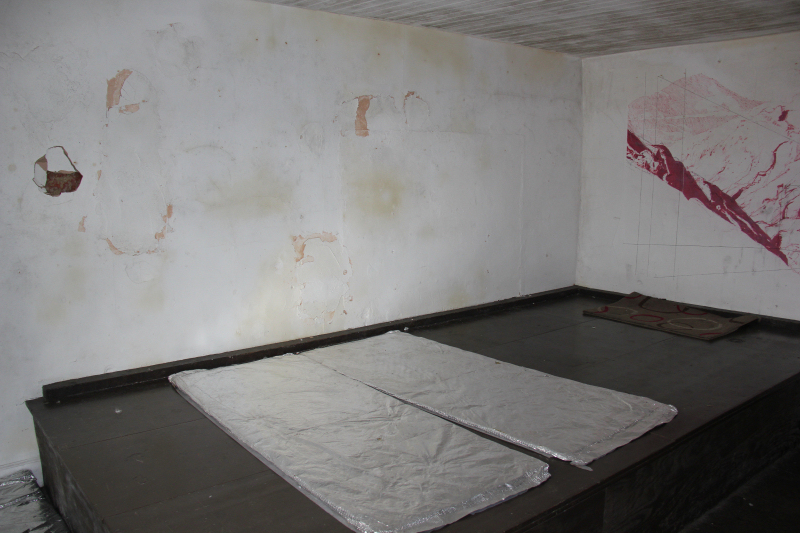 I had a quick look at the map to find a nearby Sub2000ft Marilyn to ascend. Cacra Hill seemed to fit the bill nicely. 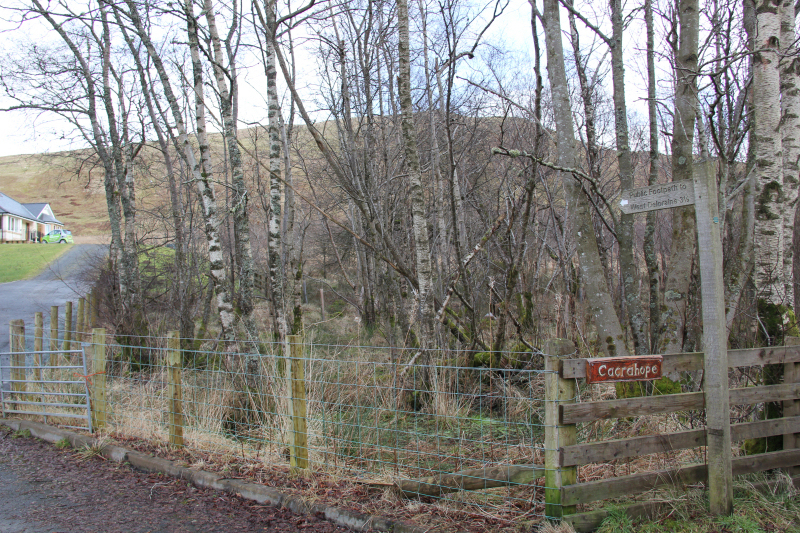 For the ascent of Cacra Hill, I parked beside the start of the track signposted to West Deloraine. 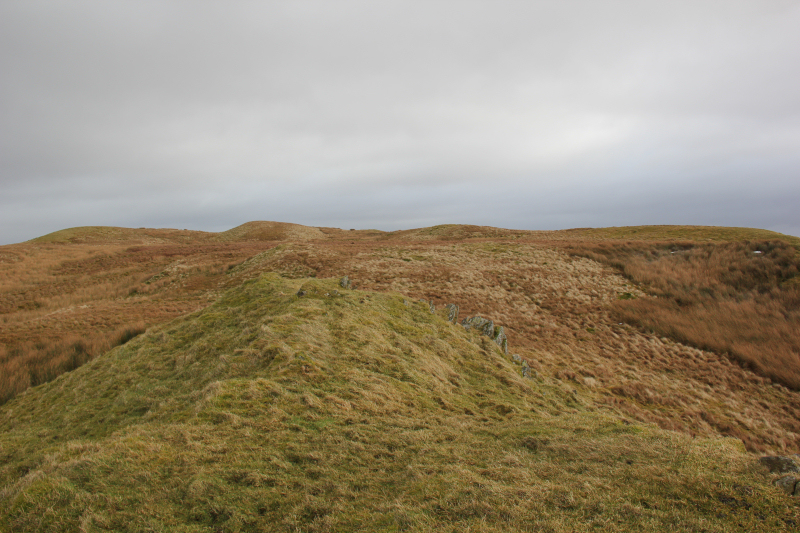 I followed the track until past a gate and past an area of waist high tussocks and then took to the hillside. 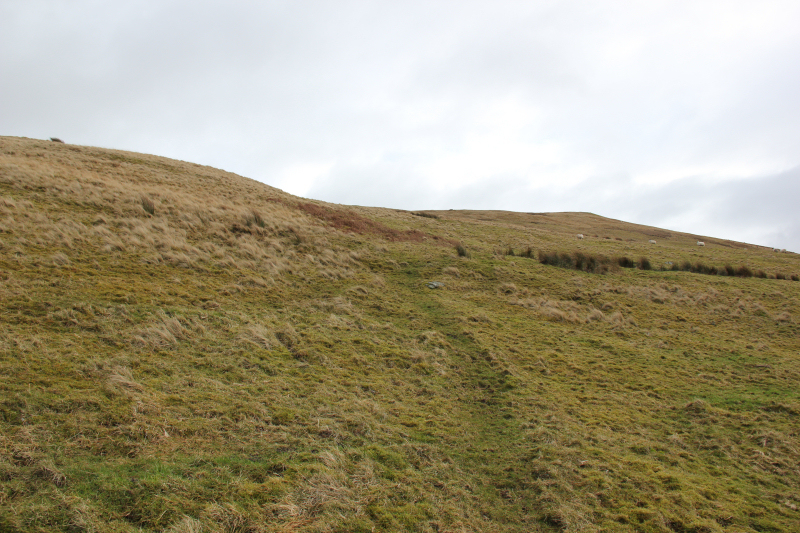 The ascent was straight-forward but reasonably steep. On reaching the summit area, I wasn’t sure which bump was the summit. 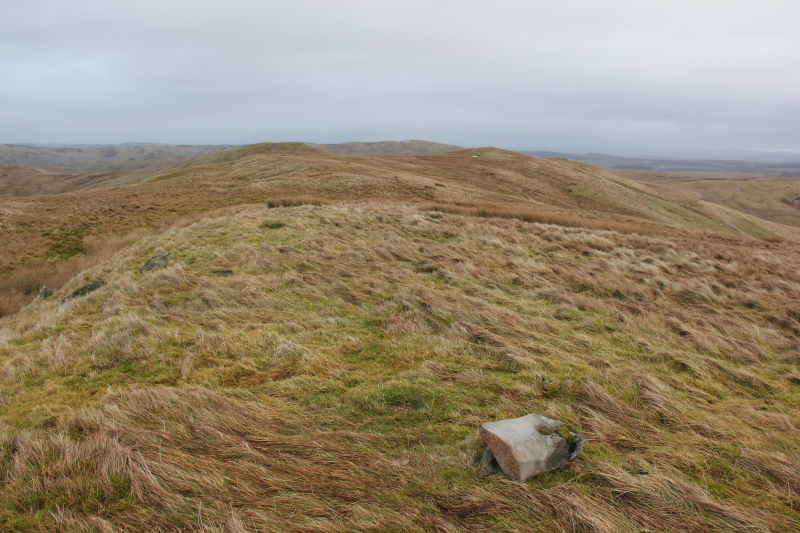 My GPS confirmed that the stone shown in the next photo is the summit. I returned roughly the same way as my ascent. The weather forecast for tomorrow is much better. Hopefully it will be correct .